Data is everything. If a computer fails, or becomes infected with any variety of malicious software, it can be repaired, or if necessary, replaced. However, data cannot be replaced. Data loss can be extremely costly, and sometimes heartbreaking. 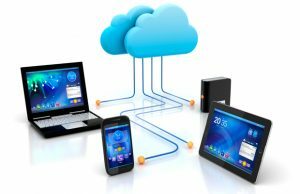 Whether you have a business, or are a home user with valuable documents, pictures, etc., we provide a very affordable online backup solution. Once set up, you’re taken care of with a hands-off solution that gets monitored constantly. Get protected now, before it’s too late.